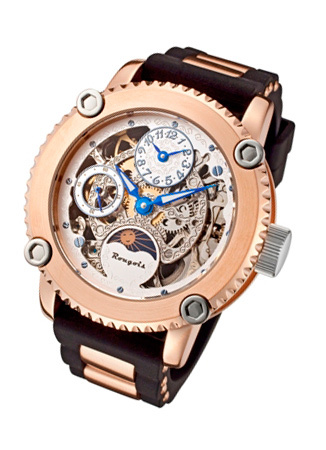 Rougois Skeleton Two Time Zone Mechanical Limited edition Watch in rose gold tone. Stunning etched skeleton movement in large 47mm rose gold scalloped case design which is 13mm thick in diameter. 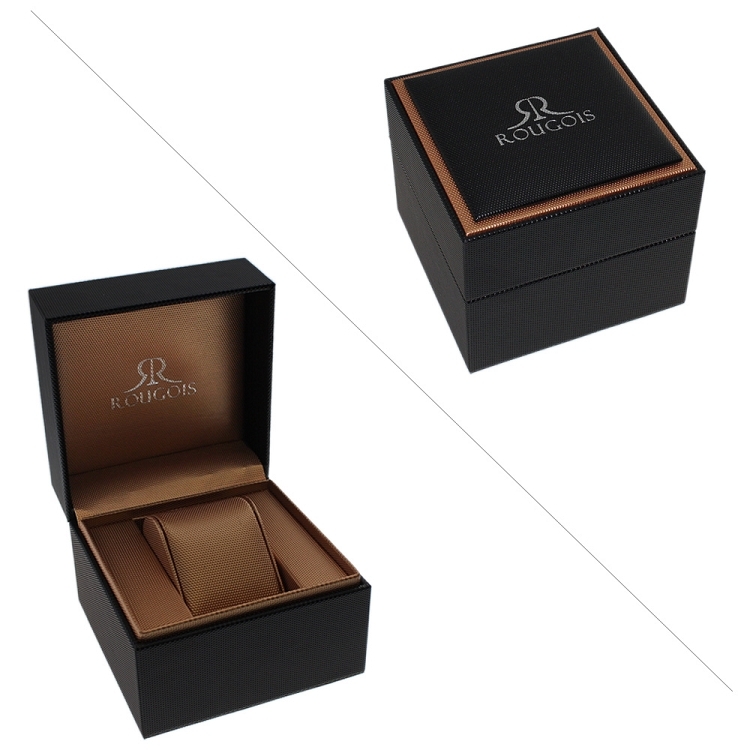 Black silicone rubber band with rose Gold plated stainless steel inserts accentuates the solid stainless steel case. See through exhibition back displays the decorated jeweled movement.